Two Nerdy History Girls: Happy Mother's Day! 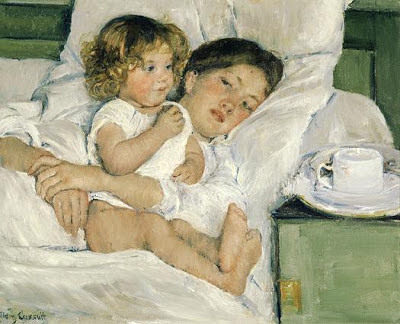 Breakfast in Bed, by Mary Cassatt (1844-1926), 1897. Huntington Library, Art Collection, & Botanical Garden. I always think that Cassatt was really talented but underestimated. Presumably because there was no heroic military, history or religious theme..just a quiet domestic scene.